> Original Blend Ground Coffee, 1 lb. Enjoy the rich, smooth flavor of Dunkin' Donuts® Original Blend coffee when you buy our 1 pound packages of ground beans. We bring the same great quality you expect from our restaurants directly to your doorstep so you can brew your own pot every morning. Stock your own pantry, or purchase our coffee as a gift to start off someone else's daily routine. 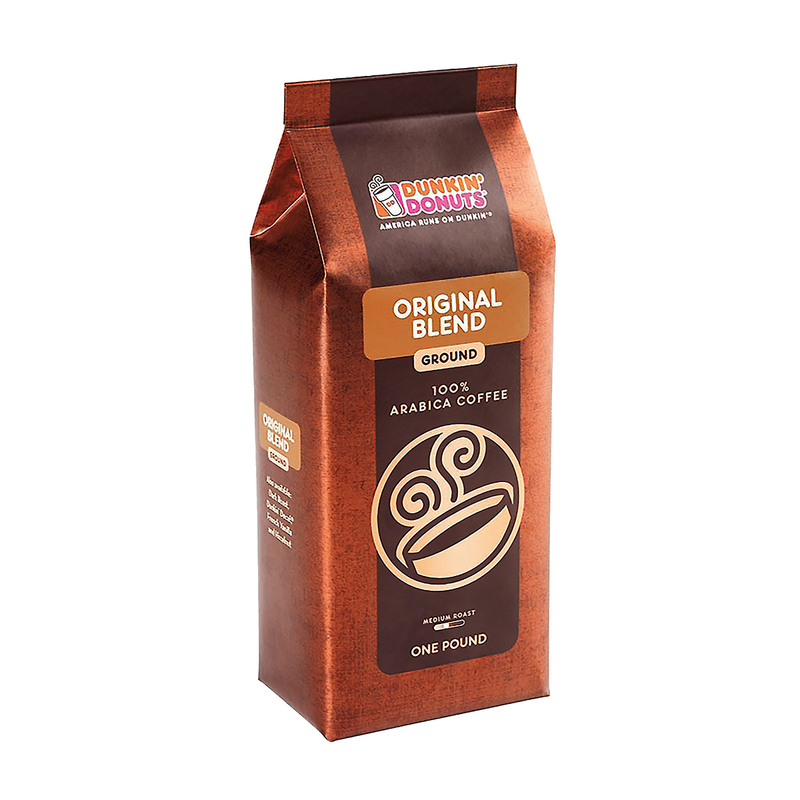 Our Original Blend, the blend that made Dunkin' Donuts® famous, features 100% Arabica beans, from Central and South America. We have been keeping America running with this great coffee for over 60 years. These 1 pound packages allow you to brew the delicious flavor you love from the convenience of your own kitchen and we go to great lengths to ensure our coffee is of the highest quality. Coffee farmers and roasters adhere to our strict guidelines and rigorous processes to ensure that you receive only the best. We select only the highest quality coffee beans and process them to perfection, blending and roasting beans from different origins to produce our flavorful recipe. Throughout the process, our coffee experts taste-test samples at each step to ensure that our high standards are met. We carefully grind the beans for optimal consistency before packaging and delivering them to your home. 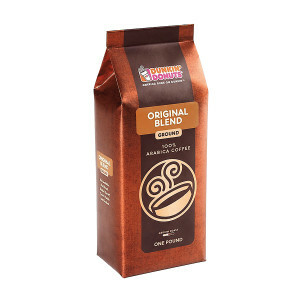 Experience the delicious sensations of Dunkin' Donuts® Original Blend ground coffee for yourself when you order these 1 pound packages online.